I just want to spread the word about the contest created by Aral on SWX. If you have a mobile project that uses SWX, don't forget to enter it in the SWX contest today. The prize is a copy of Adobe Web Premium suite, an iPod Touch, a Nabaztag/tag bunny, and a year's subscription to Lynda.com's premium library. All you need to do to enter is to send in a link to your Flash Lite application that uses SWX along with a short description of your app. Janus Symbian Lite is now completely free of charge. Yes, you heard this right! 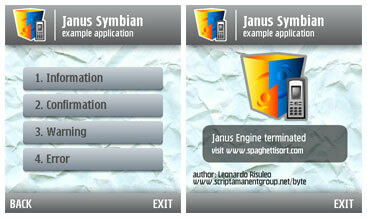 Janus Symbian Lite is now is completely free of charge and free of use (even for commercial projects!). Janus Symbian Lite won't let you modify the source code of your sis file and won't let you use any external Janus method, but all the other cutting edge features of Janus Symbian are there! 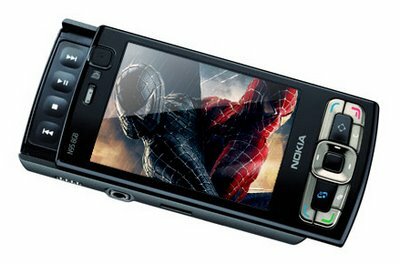 * Designed and built in order to be easily updated and future proof - more and more Janus Symbian methods are in the works! * Professional SIS Maker and SWF Launcher tool using the industry leading "Janus Engine"
wikipedia.org (English only). As it still has some bugs and loop holes, I am still working on it on my free time. It works on an ASP based API that I have created to search for a term in wikipedia page and provide the formatted out put as desired. portfolio and a stellar roster of clients. If you think you have the skills we are looking for, we look forward to hearing from you. roster of clients. You'll be working with a team of producers, designers and animators to create world-class rich games, applications and other compelling, entertaining small screen experiences. team in a central Newcastle location. 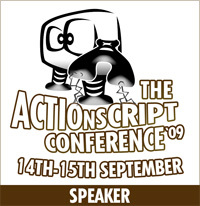 Addtional information and how to contact, here. Download the MAX Barcelona 2007 Flash Lite mobile phone session guide. 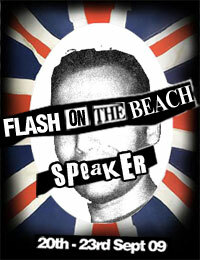 Download MAX Barcelona 2007 Flash Lite for free ! FLV support : The Adobe Flash Lite 3 runtime supports FLV, the most popular video format on the Internet, best known from popular sites such as CNN, YouTube, and MySpace. With Flash Lite 3, users can engage with web video on their devices just as they do on the desktop, either by streaming video or by downloading video clips as standalone applications or when integrated with a mobile web browser. Flash Lite 3 includes support for On2 VP6 and Sorenson video codecs. Download the Flash Lite 3.0 Update for Device Central CS3 to author, test, and publish Flash Lite 3.0 mobile content. These wallpapers are aimed at educating users about the wasted electricity, and associated additional carbon in the atmosphere, that comes from leaving their phone chargers plugged into the power socket when the phone does not require charging. They're also just cool animations for your mobile wallpaper.